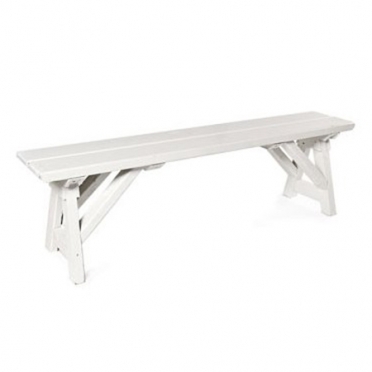 When traditional seating is not needed, a white wood bench may be the ideal alternative. At five feet long and with a 1,000 pound capacity, this is the perfect size to fit a few guests around a picnic table or to use as decorative seating for a garden wedding. 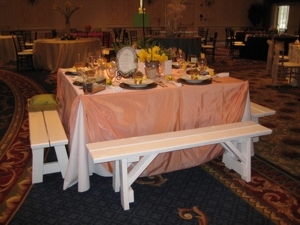 This piece is great for both interior and exterior venues.